Currently based in Calgary, Alberta, Kris Weinmann (Born ,03/20/1983) has been a practicing artist since 2006 and is an alumni of the Alberta College of Art and Design. He exercises a passionate appreciation for the eloquence of line to articulate his interests into composite and complex line drawings that resonate from the spirit of the neurological, perceptual or psychological concepts he likes to explore. Each piece presents a meditative and engaging visual language by providing compositions that employ a methodical layering of lines and textures that define a concept, space, form and time beyond their own surfaces. Weinmann’s work has been shown at a number of exhibitions both in Calgary, Alberta, as well as Toronto, Ontario. He currently maintains a studio practice in Calgary while he also holds a position as the Project Coordinator for Nuit Blanche Calgary, engages in collaborative projects, in addition to continuing to show his work extensively. By 2014 he expects to take his practice and educational endeavors abroad. The moss series. Through compiling a series of fairly new, interesting and relaxing songs produced by artists from around the world the moss series is a series of albums I have been curating to embody a series of daily periods of relaxed and awakening experiences. 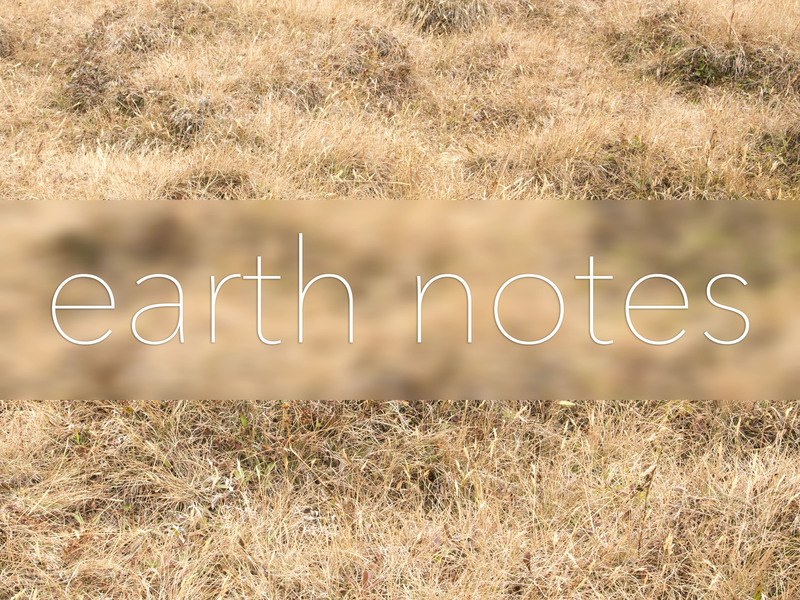 earth notes is a collaboration project where I have joined forces with Tree Amigo Landscaping in NW Calgary. They have been really generous in providing me with work/studio space and access to an array or tools to be able to create a series of artworks and products that are inspired by exterior environments and private landscaping projects. We will have the opportunity to experiment with some new art ideas, navigate the challenges of making work intended for outdoor applications as well as collaborate on the development of some unique products and designs that compliment or enhance the kinds of landscaped environments that Tree Amigo will be producing this season. I am really excited to be able to work with Tree Amigo over the next few months.